A lot of people mix up the ozone hole and global warming, believing the hole is a major cause of the world’s increasing average temperature. 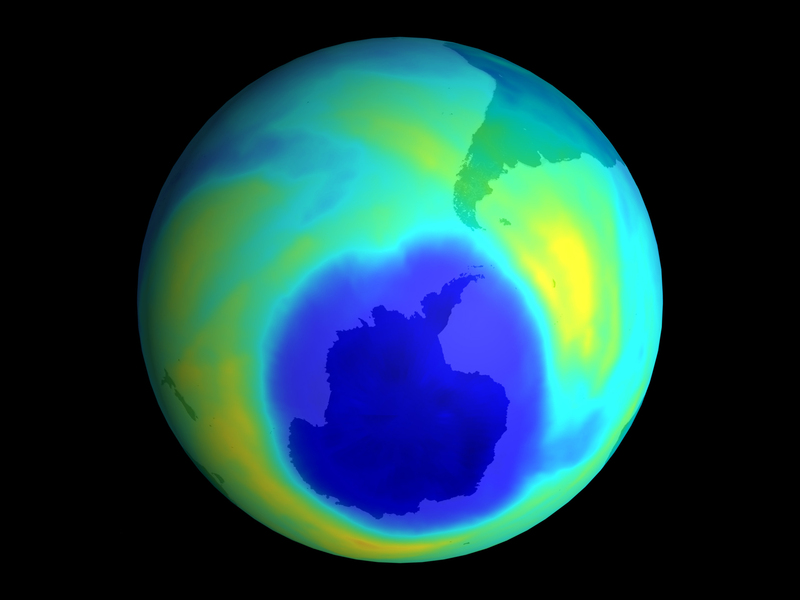 Scientists, on the other hand, have long attributed a small cooling effect to the ozone shortage in the hole. Now a new computer-modeling study suggests that the ozone hole might actually have a slight warming influence, but because of its effect on winds, not temperatures. The new research suggests that shifting wind patterns caused by the ozone hole push clouds farther toward the South Pole, reducing the amount of radiation the clouds reflect and possibly causing a bit of warming rather than cooling. Picked up by LiveScience, Yahoo! News, Huffington Post, Nature News, NBC News, and others.